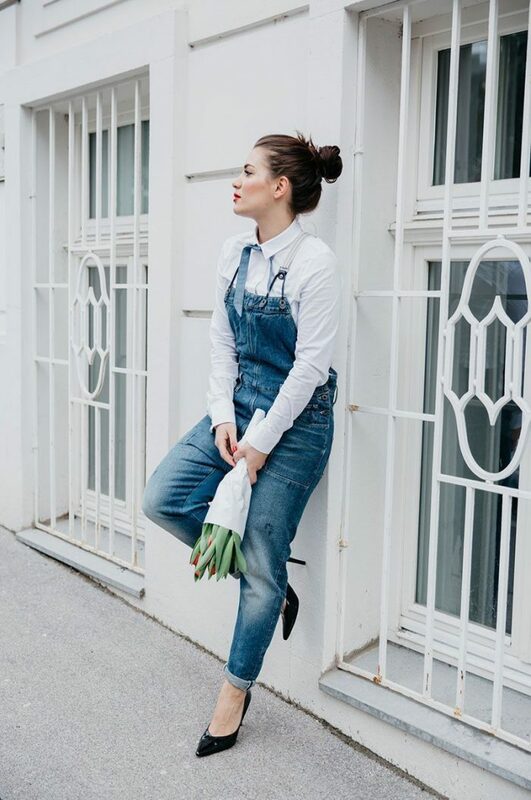 The easiest way to make this trend look awesome on you is to team light color denim with darkening color piece. This will underline your individuality, without looking tacky. For instance, go for light-wash bottoms and darker top or vice versa. Why is it so important? This will keep you look fresh and voguish keeping away from a tacky and boring appearance. Be sure to try white denim, it can be either white jeans, vest or jacket. You don’t have to follow traditional rules by pairing light with darkening wash. Believe me, white color will easily make you look fresh, posh, crisp vibe and a new twist. A double denim look can be achieved by an optical illusion. How is it possible? Thanks to cool details and accessories. 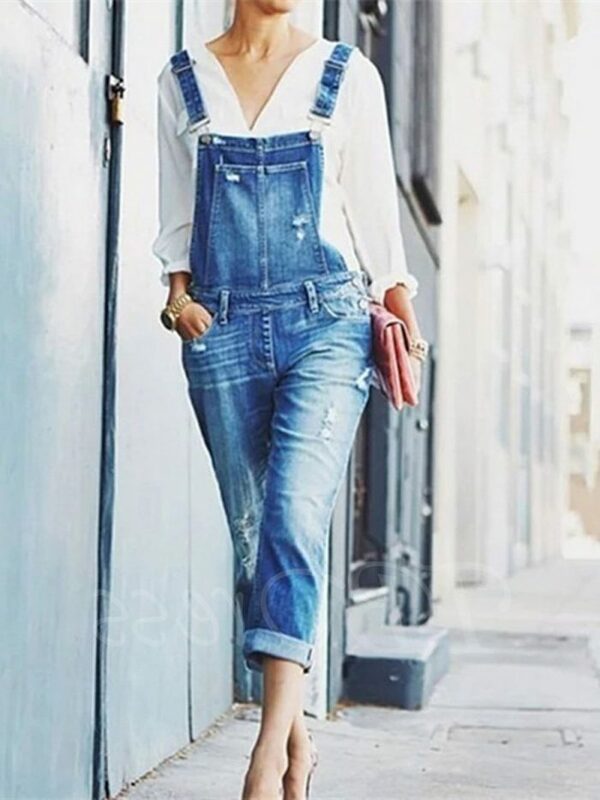 For instance, a denim shirt-dress, jumpsuit, romper or overalls can be divided by a cool belt. 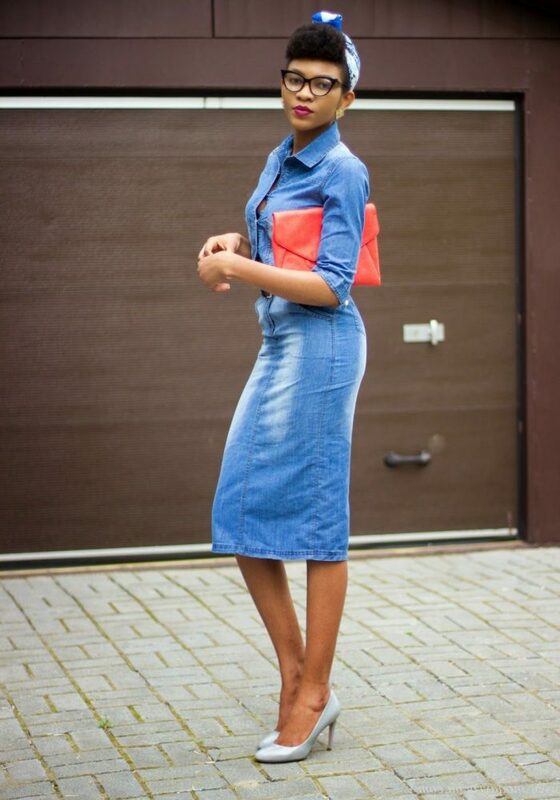 Another great double denim look can be achieved by wearing denim top with jeans skirt. The result gonna look ladylike and unique. 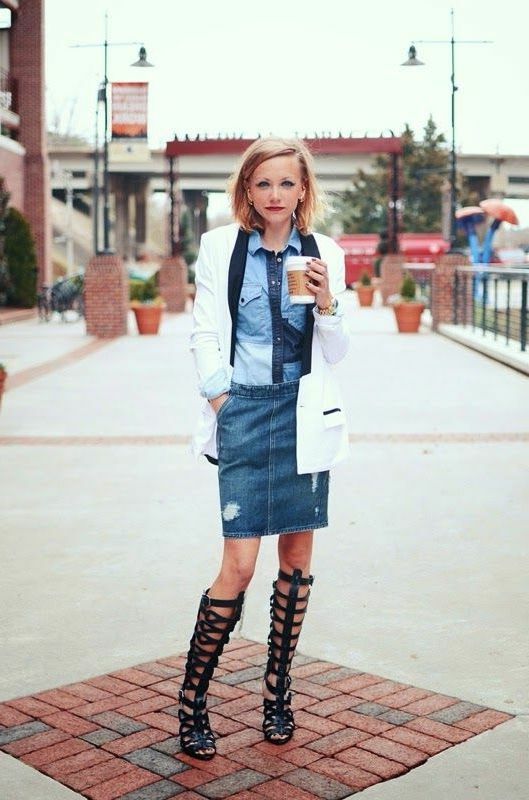 For instance, go for a denim shirt tucked in a stylish denim skirt and complete the look by adding gladiator sandals or lace-up heels. Don’t be afraid of experiments. 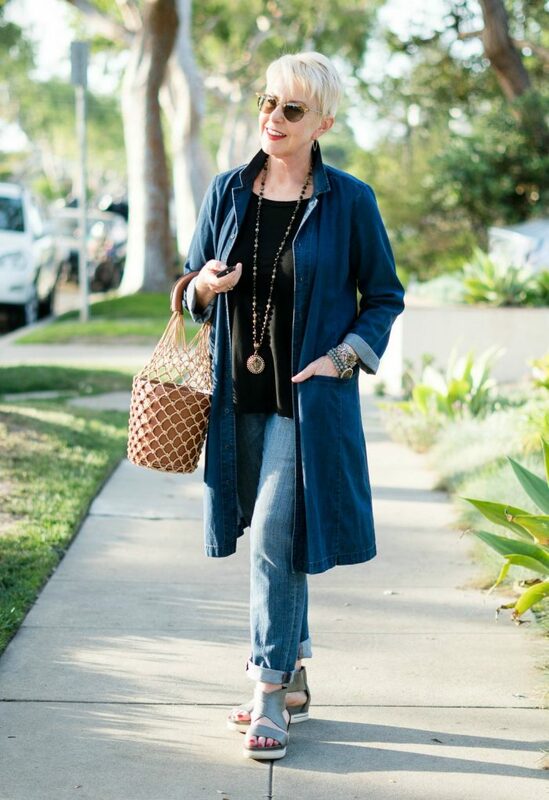 Try on various silhouettes, by wearing denim vest with a denim maxi skirt, or keep things relaxed with a loose-fit cropped denim tank top teamed with mid-rise skinny jeans, etc. 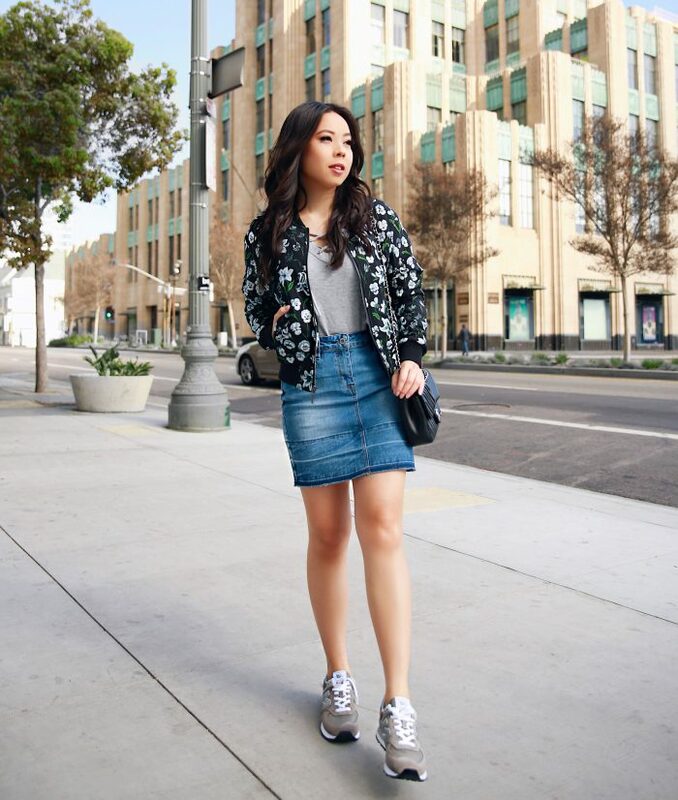 How about creating layered looks thanks to your double denim looks? This will underline your creativity.